or the number of your sports hero. Put a flexible measuring tape, cord, paper, watch etc. around your wrist. Then measure its length with a ruler or measuring tape. ⇒ For a comfortable fit, please leave some space between wrist and measuring tape! Please note that the scale has to be at 100%! Cut the measuring BRAYCE® along the line. Put it around your wrist and measure the length. You don’t have a measuring tape? No problem! 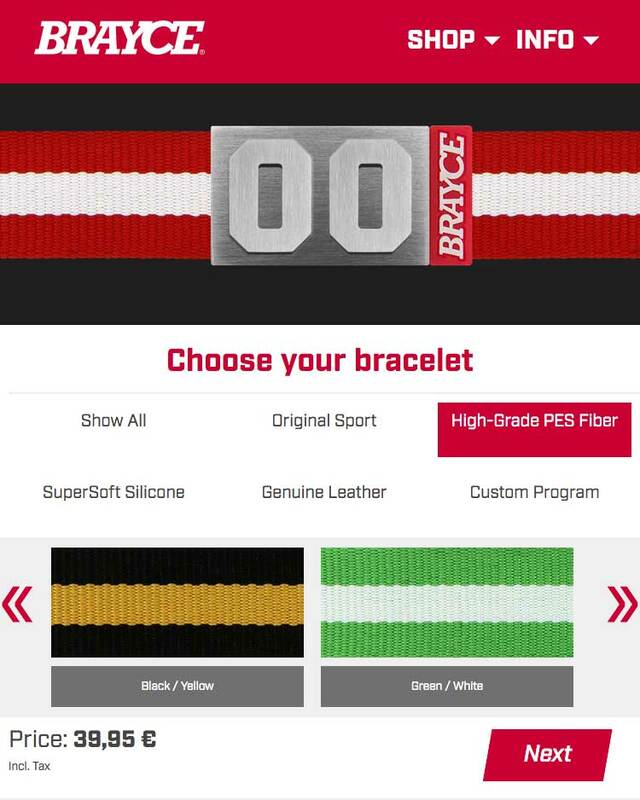 We’ll send a free BRAYCE® sizer to you. 44.500 variations — have a look at the configurator to check out all of them!